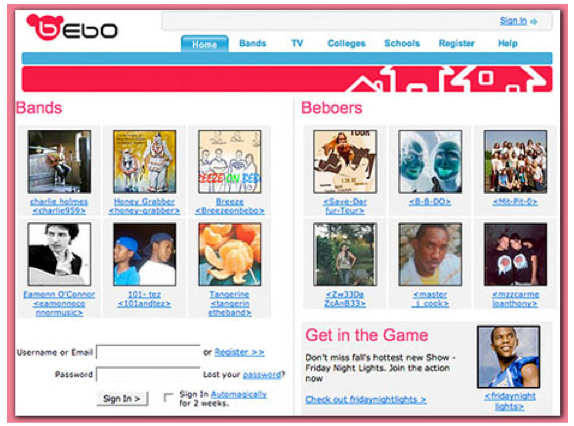 HelpHound Blog: Do you remember Bebo? No? Don't worry, because they ceased to be a major player many moons ago. So why do we bring them up here? Because it's only natural for businesses to engage with whatever appears to be the major opportunity (or threat) at the time. That's where HelpHound comes in: because we concentrate on review management all the time, we are fractionally better placed to have some idea of when the review equivalent of Facebook is going to arrive. Or, in this case, has arrived. But we are still encountering quite a bit of understandable 'Google denial', so we thought it might be a good idea to examine it in detail here. The majority of savvy marketers now accept that consumers want reviews, reviews of everything they need or want: from doctors to accountants to hotels to the latest smartphone. It's because of this demand that so many review websites have sprung up over the last ten years (believe it or not, there weren't any before 2005). And the list goes on. And before anyone says they're all 'mickey mouse' - Yelp (which has yet to hit the UK in big way) is currently valued at $5.8 billion. So, first, why Google? Then, back to the reasons why some businesses have yet to take Google seriously. The obvious answer would be 'sheer size': at $397 billion Google has the cash to do pretty well whatever it likes, and what it likes most is to dominate the world of search. So if people are searching for reviews you can be absolutely sure that Google will want to be supplying those reviews (some of you will be asking - looking at those numbers - why didn't Google simply buy Yelp? The answer is they nearly did, until they realised they didn't need to, because they could do it themselves - and they have). Why might some businesses not take Google [reviews] seriously? People are looking for reviews, but your business doesn't have any Google reviews? Unless that's because of point 3 (which is an eminently valid point - deserving of a response all of its own, see below), I think we all know the answer to that one: find a way to get them, and get them now. It's better than nothing, but, given that Google now controls where those reviews will be shown (always below - and with less prominence than - their own) you should definitely be looking to populate your Google reviews. Hotels will say 'We have 500 reviews on TripAdvisor and everyone reads TripAdvisor reviews'; quite right, for now. We're not saying abandon your efforts on TripAdvisor, but our prediction is that even the mighty TripAdvisor will eventually go the way of Bebo, unless it finds a way to make its offering much more powerful. Every business needs great Google reviews - now. And so you should be. All the evidence available points to the fact that even a very few negative reviews on the web can do seriously harm to businesses. Especially if they mean that you look worse than your immediate competition. And that's where Dialogue comes in: enabling our clients to invite reviews, manage negatives in private and get the positives posted to Google (as well as your own website); we work with you, your customers and Google for everyone's benefit.